Tags: insideHPC ( 31 ), Quantum Corp., TACC - Texas Advanced Computer Center, TACC has selected Quantum StorNext as their archive file system with a Quantum Scalar i6000 tape library providing dedicated Hierarchical Storage Management (HSM). “Our ability to archive data is vital to TACC’s success, and the combination of StorNext as our archive file system managing Quantum hybrid storage, Scalar tape and our DDN primary disk will enable us to meet our commitments to the talented researchers who depend on TACC now and in the future,” said Tommy Minyard, Director of Advanced Computing at TACC. TACC designs and operates some of the world’s most powerful computing resources. The center’s mission is to enable discoveries that advance science and society through the application of advanced computing technologies. TACC’s environment includes a comprehensive cyberinfrastructure ecosystem of leading-edge resources in high performance computing (HPC), visualization, data analysis, storage, archive, cloud, data-driven computing, connectivity, tools, APIs, algorithms, consulting, and software. TACC experts work with thousands of researchers on more than 3,000 projects each year. This feature story describes how the computational power of Frontera will be a game changer for research. Late last year, the Texas Advanced Computing Center announced plans to deploy Frontera, the world’s fastest supercomputer in academia. To prepare for launch, TACC just published the inaugural edition of Texascale, an annual magazine with stories that highlight the people, science, systems, and programs that make TACC one of the leading academic computing centers in the world. In an inconspicuous-looking data center on The University of Texas at Austin’s J. J. Pickle Research Campus, construction is underway on one of the world’s most powerful supercomputers. The Frontera system (Spanish for “frontier”) will allow the nation’s academic scientists and engineers to probe questions both cosmic and commonplace — What is the universe composed of? How can we produce enough food to feed the Earth’s growing population? — that cannot be addressed in a lab or in the field; that require the number-crunching power equivalent to a small city’s worth of computers to solve; and that may be critical to the survival of our species. The name Frontera pays homage to the “endless frontier” of science envisioned by Vannevar Bush and presented in a report to President Harry Truman calling for a national strategy for scientific progress. The report led to the founding of the National Science Foundation (NSF) — the federal agency that funds fundamental research and education in science and engineering. It paved the way for investments in basic and applied research that laid the groundwork for our modern world, and inspired the vision for Frontera. The pursuit of Frontera formally began in May 2017 when NSF issued an invitation for proposals for a new leadership-class computing facility, the top tier of high performance computing systems funded by the agency. The program would award $60 million to construct a supercomputer that could satisfy the needs of a scientific and engineering community that increasingly relies on computation. When TACC proposed Frontera, it didn’t simply offer to build a fastest-in-its-class supercomputer. It put together an exceptional team of supercomputer experts and power users who together have internationally recognized expertise in designing, deploying, configuring, and operating HPC systems at the largest scale. Learn more about principal investigators who led the charge. NSF’s invitation for proposals indicated that the initial system would only be the beginning. In addition to enabling cutting-edge computations, the supercomputer would serve as a platform for designing a future leadership-class facility to be deployed five years later that would be 10 times faster still — more powerful than anything that exists in the world today. TACC has deployed major supercomputers several times in the past with support from NSF. Since 2006, TACC has operated three supercomputers that debuted among the Top15 most powerful in the world — Ranger (2008-2013; #4), Stampede1 (2012-2017, #7) and Stampede2 (2017-present, #12) — and three more systems that rose to the Top25. These systems established TACC, which was founded in 2001, as one of the world leaders in advanced computing. TACC solidified its reputation when, on August 28, 2018, NSF announced that the center had won the competition to design, build, deploy, and run the most capable system they had ever commissioned. “This award is an investment in the entire U.S. research ecosystem that will enable leap-ahead discoveries,” NSF Director Córdova said at the time. Frontera represents a further step for TACC into the upper echelons of supercomputing — the Formula One race cars of the scientific computing world. When Frontera launches in 2019, it will be the fastest supercomputer at any U.S. university and one of the fastest in the world — a powerful, all-purpose tool for science and engineering. Supercomputers have historically had very specific uses in the world of research, performing virtual experiments and analyses of problems that can’t be easily physically experimented upon or solved with smaller computers. Since 1945, when the ENIAC (Electronic Numerical Integrator and Computer) at the University of Pennsylvania first calculated artillery firing tables for the United States Army’s Ballistic Research Laboratory, the uses of large-scale computing have grown dramatically. Today, every discipline has problems that require advanced computing. 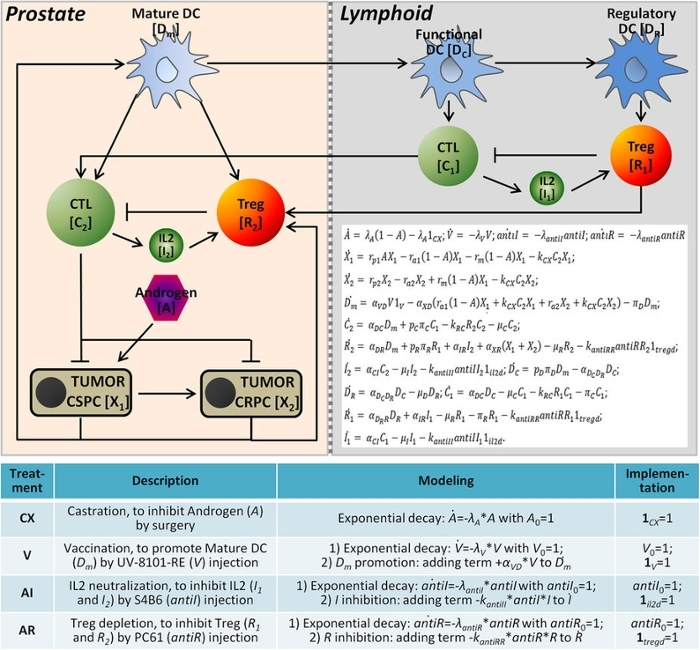 Whether it’s cellular modeling in biology, the design of new catalysts in chemistry, black hole simulations in astrophysics, or Internet-scale text analyses in the social sciences, the details change, but the need remains the same. In the past decade, the uses of high performance computing have expanded further. Massive amounts of data from sensors, wireless devices, and the Internet opened up an era of big data, for which supercomputers are well suited. More recently, machine and deep learning have provided a new way of not just analyzing massive datasets, but of using them to derive new hypotheses and make predictions about the future. As the problems that can be solved by supercomputers expanded, NSF’s vision for cyberinfrastructure — the catch-all term for the set of information technologies and people needed to provide advanced computing to the nation — evolved as well. Frontera represents the latest iteration of that vision. TACC’s leadership knew they had to design something innovative from the ground up to win the competition for Frontera. Taking a data-driven approach to the planning process, they investigated the usage patterns of researchers on Stampede1, as well as on Blue Waters — the previous NSF-funded leadership-class system — and in the Department of Energy (DOE)’s large-scale scientific computing program, INCITE, and analyzed the types of problems that scientists need supercomputers to solve. They found that Stampede1 usage was dominated by 15 commonly used applications. Together these accounted for 63 percent of Stampede1’s computing hours in 2016. Some 2,285 additional applications utilized the remaining 37 percent of the compute cycles. (These trends were consistent on Blue Waters and DOE systems as well.) Digging deeper they determined that, of the top 15 applications, 97 percent of the usage solved equations that describe motions of bodies in the universe, the interactions of atoms and molecules, or electron and fluids in motion. Frontera will be the fastest supercomputer at a U.S. university and likely Top 5 in the world when it launches in 2019. It will support simulation, data analysis and AI on the largest scales. Though still small in terms of their overall use of Stampede2, and other current systems, these areas are growing quickly and offer new ways to solve enduring problems. Whereas researchers traditionally wrote HPC codes in programming languages like C++ and Fortran, data-intensive problems often require non-traditional software or frameworks, such as R, Python, or TensorFlow. Anyone following computer hardware trends in recent years has noticed the blossoming of options in terms of computer processors. Today’s landscape includes a range of chip architectures, from low energy ARM processors common in cell phones, to adaptable FPGAs (field-programmable gate arrays), to many varieties of CPU, GPUs and AI-accelerating chips. The team considered a wide-range of system options for Frontera before concluding that a CPU-based primary system with powerful Intel Xeon x86 nodes and a fast network would be the most useful platform for most applications. Once built, TACC expects that the main compute system will achieve 35 to 40 petaflops of peak performance. For comparison, Frontera will be twice as powerful as Stampede2 (currently the fastest university supercomputer) and 70 times as fast as Ranger, which operated at TACC until 2013. To match what Frontera will compute in just one second, a person would have to perform one calculation every second for one billion years. In addition to its main system, Frontera will also include a subsystem made up of graphics processing units (GPUs) that have proven particularly effective for deep learning and molecular dynamics problems. “For certain application classes that can make effective use of GPUs, the subsystem will provide a cost-efficient path to high performance for those in the community that can fully exploit it,” Stanzione said. The effectiveness of a supercomputer depends on more than just its processors. Storage, networking, power, and cooling are all critical as well. Frontera will include a storage subsystem from DataDirect Networks with almost 53 petabytes of capacity and nearly 2 terabytes per second of aggregate bandwidth. Of this, 50 petabytes will use disk-based, distributed storage, while 3 petabytes will employ a new type of very fast storage known as Non-volatile Memory Express storage, broadening the system’s usefulness for the data science community. Supercomputing applications often employ many compute nodes, or devices, at once, which requires passing data and instructions from one part of the system to another. Mellanox InfiniBand interconnects will provide 100 Gigabits per second (Gbps) connectivity to each node, and 200 Gbps between the central switches. These components will be integrated via servers from Dell EMC, who has partnered with TACC since 2003 on massive systems, including Stampede1 and 2. Though a top system in its own right, Frontera won’t operate as an island. Users will have access to TACC’s other supercomputers — Stampede2, Lonestar, Wrangler, and many more, each with a unique architecture — and storage resources, including Stockyard, TACC’s global file system; Corral, TACC’s data collection repository; and Ranch, a tape-based long-term archival system. Together, they compose an ecosystem for scientific computing that is arguably unmatched in the world. Researchers traditionally interact with supercomputers through the command line — a text-only program that takes instructions and passes them on to the computer’s operating system to run. The bulk of a supercomputer’s time (roughly 90 percent of the cycles on Stampede2) is consumed by researchers using the system in this way. But as computing becomes more complex, having a lower barrier to entry and offering an end-to-end solution to access data, software, and computing services has grown in importance. Science gateways offer streamlined, user-friendly interfaces to cyberinfrastructure services. In recent years, TACC has become a leader in building these accessible interfaces for science. Though they use a minority of computing cycles, a majority of researchers actually access supercomputers through portals and gateways. To serve this group, Frontera will support high-level languages like Python, R, and Julia, and offer a set of RESTful APIs (application program interfaces) that will make the process of building community-wide tools easier. For some years, there has been a debate in the advanced computing community about whether supercomputers or “the cloud” are more useful for science. The TACC team believes it’s not about which is better, but how they might work together. By design, Frontera takes a bold step towards bridging this divide by partnering with the nation’s largest cloud providers — Microsoft, Amazon, and Google — to provide cloud services that complement TACC’s existing offerings and have unique advantages. It’s no secret that supercomputers use a lot of power. Frontera will require more than 5.5 megawatts to operate — the equivalent of powering more than 3,500 homes. To limit the expense and environmental impact of running Frontera, TACC will employ a number of energy-saving measures with the new system. Some were put in place years ago; others will be deployed at TACC for the first time. All told, TACC expects one-third of the power for Frontera to come from renewable sources. These include long-term storage for sharing datasets with collaborators; access to additional types of computing processors and architectures that will appear after Frontera launches; cloud-based services like image classification; and Virtual Desktop Interfaces that allow a cloud-based filesystem to look like one’s home computer. When the applications that researchers rely on are not available on HPC systems, it creates a barrier to large-scale science. For that reason, Frontera will support the widest catalog of applications of any large-scale scientific computing system in history. TACC will work with application teams to support highly-tuned versions of several dozen of the most widely used applications and libraries. Moreover, Frontera will provide support for container-based virtualization, which sidesteps the challenges of adapting tools to a new system while enabling entirely new types of computation. With containers, user communities develop and test their programs on laptops or in the cloud, and then transfer those same workflows to HPC systems using programs like Singularity. This facilitates the development of event-driven workflows, which automate computations in response to external events like natural disasters, or for the collection of data from large-scale instruments and experiments. “Frontera will be a more modern supercomputer, not just in the technologies it uses, but in the way people will access it,” Stanzione said. Talking about a supercomputer in terms of its chips and access modes is a bit like talking about a telescope in terms of its lenses and mounts. The technology is important, but the ultimate question is: what can it do that other systems can’t? The LHC modeling effort, fusion disruption predictions, and genomic analyses represent the types of ‘frontier,’ Grand Challenge research problems Frontera will help address. “Many phenomena that were previously too complex to model with the hardware of just a few years ago are within reach for systems with tens of petaflops,” said Stanzione. A review committee made up of computational and domain experts will ultimately select the projects that will run on Frontera, with a small percentage of time reserved for emergencies (as in the case of hurricane forecasting), industry collaborations, or discretionary use. It’s impossible to say what the exact impact of Frontera will be, but for comparison, Stampede1, which was one quarter as powerful as Frontera, enabled research that led to nearly 4,000 journal articles. These include confirmations of gravitational wave detections by LIGO that contributed to a Nobel Prize in Physics in 2016; discoveries of FDA approved drugs that have been successful in treating cancer; and a greater understanding of DNA interactions enabling the design of faster and cheaper gene sequencers. From new machine learning techniques to diagnose and treat diseases to fundamental mathematical and computer science research that will be the basis for the next generation of scientists’ discoveries, Frontera will have an outsized impact on science nationwide. Frontera will be the most powerful supercomputer at any U.S. university and likely top 10 in the world when it launches in 2019. It will support simulation, data analysis, and AI on the largest scales. 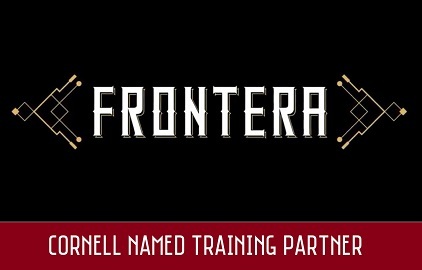 The NSF program that funds Frontera is titled, Towards a Leadership-Class Computing Facility. This phrasing is important because, as powerful as Frontera is, NSF sees it as a step toward even greater support for the nation’s scientists and engineers. In fact, the program not only funds the construction and operation of Frontera — the fastest system NSF has ever deployed — it also supports the planning, experimentation, and design required to build a system in five years that will be 10 times more capable than Frontera. Much like the data-driven design process that influenced the blueprint for Frontera, the TACC team will employ a “design — operate — evaluate” cycle on Frontera to plan Phase 2. TACC has assembled a Frontera Science Engagement Team, consisting of a more than a dozen leading computational scientists from a range of disciplines and universities, to help determine the “the workload of the future” — the science drivers and requirements for the next generation of systems. 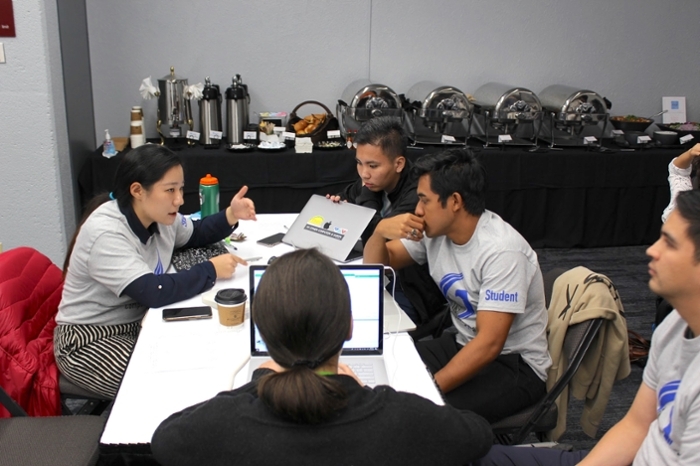 The team will also act as liaisons to the broader community in their respective fields, presenting at major conferences, convening discussions, and recruiting colleagues to participate in the planning. Fusion physicist William Tang joined the Frontera Science Engagement Team in part because he believed in TACC’s vision for cyberinfrastructure. “AI and deep learning are huge areas of growth. TACC definitely saw that and encouraged that a lot more. That played a significant part in the winning proposal, and I’m excited to join the activities going forward,” Tang said. A separate technology assessment team will use a similar strategy to identify critical emerging technologies, evaluate them, and ultimately develop some as testbed systems. 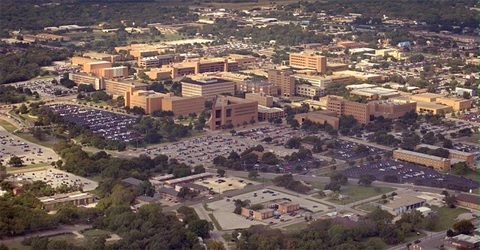 TACC will upgrade and make available their FPGA testbed, which investigates new ways of using interconnected FPGAs as computational accelerators. They also hope to add an ARM testbed and other emerging technologies. Other testbeds will be built offsite in collaboration with partners. TACC will work with Stanford University and Atos to deploy a quantum simulator that will allow them to study quantum systems. Partnerships with the cloud providers Microsoft, Google, and Amazon, will allow TACC to track AMD (Advanced Micro Devices) solutions, neuromorphic prototypes and tensor processing units. Finally, TACC will work closely with Argonne National Laboratory to assess the technologies that will be deployed in the Aurora21 system, which will enter production in 2021. TACC will have early access to the same compute and storage technologies that will be deployed in Aurora21, as well as Argonne’s simulators, prototypes, software tools, and application porting efforts, which TACC will evaluate for the academic research community. Using the “design — operate — evaluate” process, TACC will develop a quantitative understanding of present and future application performance. It will build performance models for the processors, interconnects, storage, software, and modes of computing that will be relevant in the Phase 2 timeframe. The deployment of two to three small scale systems at TACC will allow the assessment team to evaluate the performance of the system against their model and gather specific feedback from the NSF science user community on usability. From this process, the design of the Phase 2 leadership class system will emerge. The design process will culminate some years in the future. Meanwhile, in the coming months, Frontera’s server racks will begin to roll into TACC’s data center. From January to March 2019, TACC will integrate the system with hundreds of miles of networking cables and install the software stack. In the spring, TACC will host an early user period where experienced researchers will test the system and work out any bugs. Full production will begin in the summer of 2019. It won’t be TACC’s first rodeo. Over 17 years, the team has developed and deployed more than two dozen HPC systems totaling more than $150 million in federal investment. The center has grown to nearly 150 professionals, including more than 75 PhD computational scientists and engineers, and earned a stellar reputation for providing reliable resources and superb user service. Frontera will provide a unique resource for science and engineering, capable of scaling to the very largest capability jobs, running the widest array of jobs, and supporting science in all forms. TACC develops multi-factor authentication solution, makes it available open-source. How does a supercomputing center enable tens of thousands of researchers to securely access its high-performance computing systems while still allowing ease of use? And how can it be done affordably? These are questions that the Texas Advanced Computing Center (TACC), asked themselves when they sought to upgrade their system security. They had previously relied on users’ names and passwords for access, but with a growing focus on hosting confidential health data and the increased compliance standards that entails, they realized they needed a more rigorous solution. In October 2016, use of the MFA became mandatory for TACC users. Since that time, OpenMFA has recorded more than half a million logins and counting. In 2015, TACC began looking for an appropriate multi-factor authentication (MFA) solution that would provide an extra layer of protection against brute-force attacks. What they quickly discovered was that the available commercial solutions would cost them tens to hundreds of thousands of dollars per year to provide to their large community of users. Moreover, most MFA systems lacked the flexibility needed to allow diverse researchers to access TACC systems in a variety of ways — from the command line, through science gateways (which perform computations without requiring researchers to directly access HPC systems), and using automated workflows. So, they did what any group of computing experts and software developers would do: they built our own MFA system, which they call OpenMFA. They didn’t start from scratch. Instead they scoured the pool of state-of-the-art open source tools available. Among them was LinOTP, a one-time password platform developed and maintained by KeyIdentity GmbH, a German software company. To this, they added the standard networking protocols RADIUS and HTTPS, and glued it all together using custom pluggable authentication modules (PAM) that they developed in-house. TACC Token App generating token code. This approach integrates cleanly with common data transfer protocols, adds flexibility to the system (in part, so they could create whitelists that include the IP addresses that should be exempted), and supports opt-in or mandatory deployments. Researchers can use the TACC-developed OpenMFA system in three ways: via a software token, an SMS, or a low-cost hardware token. Over three months, they transitioned 10,000 researchers to OpenMFA, while giving them the opportunity to test the new system at their leisure. In October 2016, use of the MFA became mandatory for TACC users. Since that time, OpenMFA has recorded more than half a million logins and counting. TACC has also open-sourced the tool for free, public use. The Extreme Science and Engineering Discovery Environment (XSEDE) is considering OpenMFA for its large user base, and many other universities and research centers have expressed interest in using the tool. TACC developed OpenMFA to suit the center’s needs and to save money. But in the end, the tool will also help many other tax-payer-funded institutions improve their security while maintaining research productivity. This allows funding to flow into other efforts, thus increasing the amount of science that can be accomplished, while making that research more secure. TACC staff will present the details of OpenMFA’s development at this year’s Internet2 Technology Exchange and at The International Conference for High Performance Computing, Networking, Storage and Analysis (SC17). To learn more about OpenMFA or explore the code, visit the Github repository. A research team at the University of Texas at Arlington led by assistant professor of biology Todd Castoe has been exploring the genomes of snakes and lizards to answer critical questions about these creatures’ evolutionary history. For instance, how did they develop venom? How do they regenerate their organs? And how do evolutionarily-derived variations in genes lead to variations in how organisms look and function? To uncover new insights that link variation in DNA with variation in vertebrate form and function, Castoe’s group uses supercomputing and data analysis resources at the Texas Advanced Computing Center or TACC, one of the world’s leading centers for computational discovery. Recently, they used TACC’s supercomputers to understand the mechanisms by which Burmese pythons regenerate their organs — including their heart, liver, kidney, and small intestines — after feeding. What they found was that a few sets of genes were influencing the wholesale change of pythons’ internal organ structure. 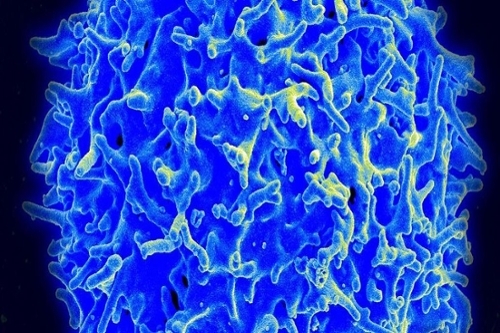 Key proteins, produced and regulated by these important genes, activated a cascade of diverse, tissue-specific signals that led to regenerative organ growth. The researchers compared thousands of genes in the rattlesnakes’ nuclear DNA to study genomic differentiation between the two lineages. Their comparisons revealed a relationship between genetic traits that are most important in evolution during isolation and those that are most important during secondary contact, with greater-than-expected overlap between genes in these two scenarios. 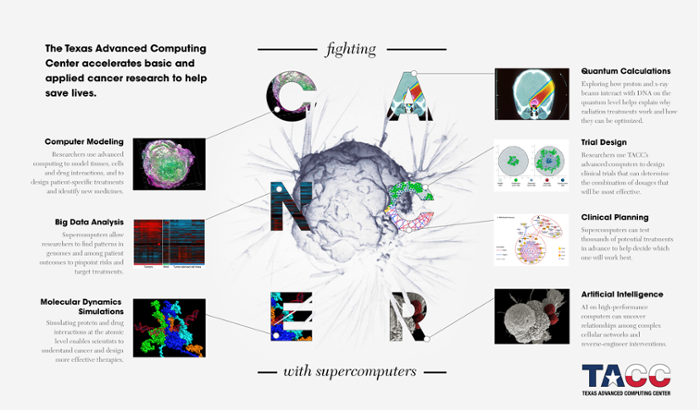 The studies performed by members of the Castoe lab rely on advanced computing for several aspects of the research. First, they use advanced computing to create genome assemblies — putting millions of small chunks of DNA in the correct order. Castoe’s lab has their own in-house computers, but they fall short of what is needed to perform all of the studies the group is interested in working on. Lab members are able to access TACC resources through a unique initiative, called the University of Texas Research Cyberinfrastructure, which gives researchers from the state’s 14 public universities and health centers access to TACC’s systems and staff expertise. Though the roots of evolutionary biology can be found in field work and close observation, today, the field is deeply tied to computing, since the scale of genetic material — tiny but voluminous — cannot be viewed with the naked eye or put in order by an individual. “The massive scale of genomes, together with rapid advances in gathering genome sequence information, has shifted the paradigm for many aspects of life science research,” says Castoe.